Joe Hundley was charged with assault after allegedly hitting a 19-month-old boy who had started to cry aboard a Delta flight. A man accused of uttering a racial slur and slapping another passenger's crying toddler during a flight has been fired in the wake of the alleged incident. 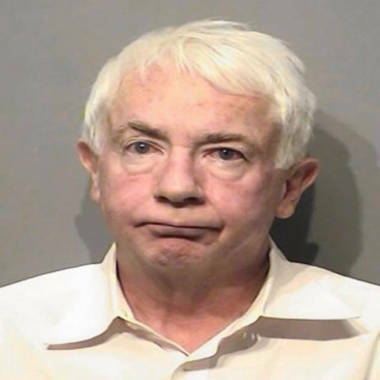 Joe Hundley, 60, from Hayden, Idaho, was charged with assault after he allegedly hit the 19-month-old boy who had started to cry during the airplane’s descent, NBC station KARE reported. According to court documents, the child’s mother Jessica Bennett alleges Hundley leaned over and said, "Shut that [N-word] baby up!" before slapping the child. This caused him to bleed and cry even harder, his mother told KARE. The Boise Weekly reported that Bennett's story was supported by another passenger who was aboard the Delta Air Lines flight from Minneapolis to Atlanta on Feb. 8. That could not be independently confirmed by NBC News. “Reports of the recent behavior of one of our business unit executives while on personal travel are offensive and disturbing. We have taken this matter very seriously and worked diligently to examine it since learning of the matter on Friday afternoon. As of Sunday, the executive is no longer employed with the company. In an interview with KARE, Bennett said Hundley appeared intoxicated, accusing him of becoming increasingly obnoxious during the flight. "He reeked of alcohol," Bennett said. "He was belligerent and I was uncomfortable." Hundley's attorney, Marcia Shein of Atlanta, has said that her client will plead not guilty to the charge. Shein told Reuters that she has received hate mail over her defense of Hundley, but added that she believes her client has been misunderstood. "He is not a racist," Shein said. "I'm going to make that real clear because that's what people are suggesting." "There's background information people don't know about, and in time it will come out," she said. The Spokesman-Review newspaper of Spokane, Wash., reported that Hundley had denied the allegations. “I can only say it’s an absolute falsehood,” the Spokesman-Review quoted Hundley as saying.